Your job: plan the perfect predator. The cat has survived 30 million years of environmental changes. It can see in the dark, is equally at home in trees or on the ground, has claws and sharp teeth. What more could a cat possibly need? National Geographic. Congratulations! You are the proud new owner of a cat. No doubt you’re looking forward to years of happy companionship. But what do you do now? From the Humane Society. Basic anatomy for the cat owner. Many people have first aid kits and emergency plans for their families. It’s important to do the same for your cats. Getting organized and prepared now can help to alleviate some of the panic and pain when an accident or emergency occurs. If it’s your chore to clean the kitty litter box, you may want to attempt to train your cat to use the potty instead. Of course, it will still be up to the humans to flush. I’m a purebred Somali cat. This is my site – read my diary, find out about Somali cats, and read lots of info about cats in general. 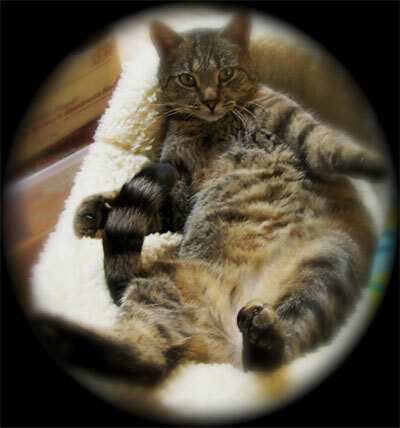 Although my pedigree is impeccable, I only have a little bit of an attitude – I promise! It’s a myth that going outside is a requirement for feline happiness. Playing regularly with a cat and providing their entertaining toys can easily satisfy their stalking instinct, keep them stimulated and provide the exercise they need to stay healthy and happy. It also keeps local wildlife safe! Cats come in an amazing variety of colors and patterns. It is not unusual to see many different colors in the same litter of kittens. Lots of cat photos, all labeled and sorted by color. When he should have been studying his lessons on his own, the boy drew cats instead. He could not help himself, for he was an artist at heart. A Japanese fairy tale. How to draw a sleeping cat, by Carol Rosinski at Toadhollow. The “Cat Who” books center on the life of former newspaper reporter, James Qwilleran, and his two Siamese cats, Koko and Yum Yum, in the fictitious small town of Pickax located in Moose County “400 miles north of everywhere.” Although never formally stated in her books, the towns, counties and lifestyles described in the series are generally accepted to be modeled after Bad Axe, Michigan, where Braun resided with her husband until the mid-1980s. Each book also available in Kindle editions. 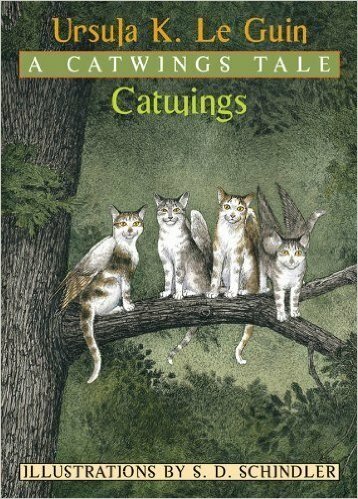 Mrs. Jane Tabby can’t explain why her four precious kittens were born with wings, but she’s grateful that they are able to use their flying skills to soar away from the dangerous city slums where they were born. However, once the kittens escape the big city, they learn that country life can be just as difficult! We believe that drawing a cat can be pretty easy if you break it down into some simple steps. If you have a cat of your own, watch it when it’s sleeping or sitting and try to think of the body position in shapes such as circles or ovals. Join the legion of fans who have made Erin Hunter’s Warriors series a #1 national bestseller! 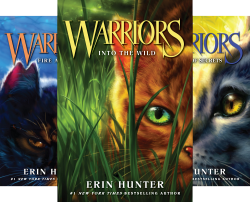 This box set—featuring striking new art—includes all six books in the first Warriors series and is perfect for the collections of longtime Erin Hunter fans and readers new to the Warriors world. For generations, four Clans of wild cats have shared the forest according to the laws laid down by their warrior ancestors. But now ThunderClan is in grave danger. Rival ShadowClan is growing stronger, a traitor may be hiding in their midst, and rising tensions threaten every cat in the forest. 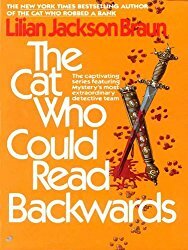 In the dark days ahead, ThunderClan’s fate will rest in the paws of an unexpected hero: an ordinary house cat named Rusty…who may yet turn out to be the bravest warrior of them all. I’m fairly sure this cat has its claws clipped. iPad screen could get badly scratched if cat claws are long. Watch informative videos and play games about bobcats, ocelots, tigers, and more. A game. You’ll see some photos of cats and then a whole group of cat photos. Which one didn’t you see in the first group? Jellicles come to the Jellicle Ball. Humans would have you believe that those lumps under the covers are their feet and hands. They are lying. They are actually Bed Mice, rumored to be the most delicious of all the mice in the world, though no cat has ever been able to catch one. Fill out your cat’s current age and click the button to see your cat’s age in human years. Egyptians loved their cats, and considered them to be protectors of the house. Most cats did not have names: they were just called Ta-Mieuw, or “The Meower”, out of respect for their privacy. Being the photographer in my family, I like this one best. Try snapping a photo of your cat in a funny pose. The Wild Bunch, Jake, Skye, and Maddy, were born at Bayhead Animal Centre, North Uist. Their mother died just after giving birth to them, so their owners had no choice but to hand-rear them. The centre had other wildcat litters to contend with, so kindly donated the youngsters to us. One of the most fascinating aspects of cat biology is that, from the two-pound black footed cat to the five hundred pound tiger, cats of all variations have one common theme. When you have a cat in your house you live with the essence of a tiger. Facts and games from the National Geographic Kids site about the largest wild cats.